Forgive me broader readership, I’m going super local today. Many of you probably know that I live in Westchester County, which borders New York City to the north and is flanked by the sailboat-dotted Long Island Sound to the East and the mighty Hudson River to the West. With the exception of college in Western Mass and a decade in Manhattan and Brooklyn, I’ve lived here for most of my life, and thought that was as good an excuse as any to offer a tour of my regular haunts. To be clear right up front: This is not a Best of Westchester List. It’s my very own, very biased hit list. It is especially biased towards the Rivertowns (Yonkers, Hastings, Dobbs Ferry, Irvington, Tarrytown) since that’s my hood, and also towards the lower Long Island Sound towns around Larchmont (since that’s where I grew up)…But what good is a list if it’s not subjective? ENJOY! Favorite New School Pizza: The Parlor (Dobbs Ferry) On a weekly basis, our family sits down at this spot, a five-minute drive from our house, and one of us says “How did we survive without The Parlor?” Dave DiBari (of Cookery fame, and something of a celebrity chef in Westchester) opened it two or three years ago and ever since, we’ve been obsessing over his brick oven artisanal pizzas topped with brussels sprouts and bacon, light-as-air polpette with ricotta, béchamel and hen of the woods. The David Chang-esque fried Brussels Sprouts salad with chili-honey and Rice Krispies might be our favorite dish in the Rivertowns. (Though their “salzone,” a calzone stuffed with creamy-dressed Bibb and gorgonzola might be closing in on that title.) The brick is exposed, the space is industrial, the music is loud. 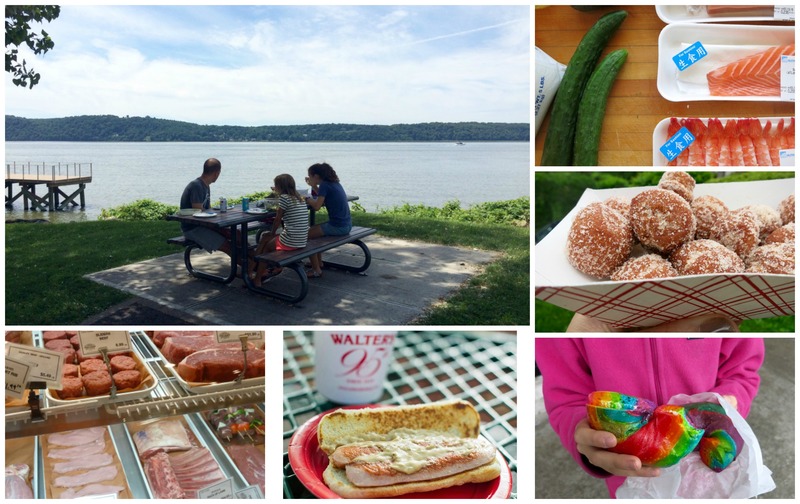 On Thursdays and the weekends it can be a long wait, so if the weather is cooperating, we often order take-out and bring it down to the Dobbs Ferry waterfront, three minutes away, for the world’s greatest picnic. 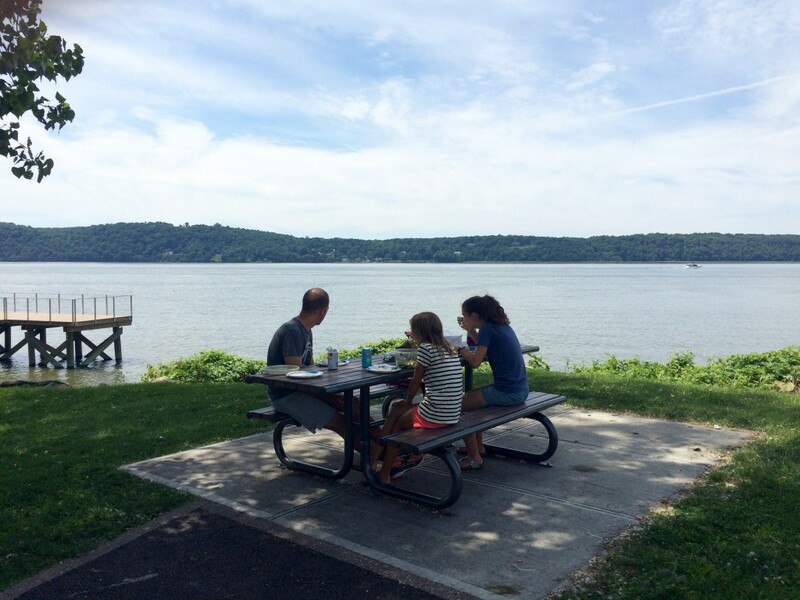 Favorite Place for Al Fresco Dining: Waterfront Park (Dobbs Ferry)…About that World’s Greatest Picnic. Almost every Rivertown has a waterfront park with dramatic views of the Hudson and Manhattan skyline, twenty-ish miles south. But only Dobbs Ferry’s has this picnic table (located at the northern-most point in the park) that is always covered in shade and offers the perfect perch for sunsets, skylines, and sailboats. When we can’t deal with having people over for dinner, we bring a tablecloth and our favorite take-out here, while all the kids play soccer or cavort on the playground. Honorable Mention for Waterfront Park (but no picnicking allowed): Manor Park (Larchmont), possibly my most favorite place in all of Westchester. Favorite Japanese Market: Nijya (Hartsdale) Whenever you see sushi or raw fish on this blog, there is a 100% chance that it came from this market, a diamond in the rough on strip-mall-city Central Park Ave, the main drag that runs north-south in Westchester and essentially cuts the county in half. The store is part of a national chain, but somehow has the feel of a small-town vendor at the farmer’s market. 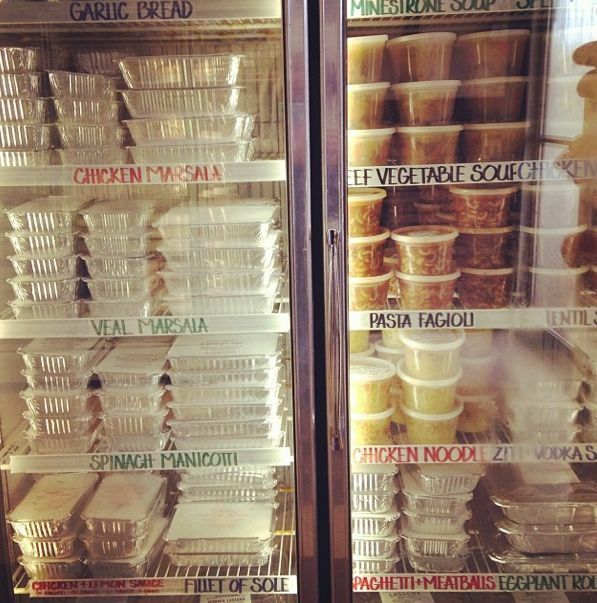 When it’s sushi night (or poke night or sushi bowl night) in our house, we do a one-stop shop here. 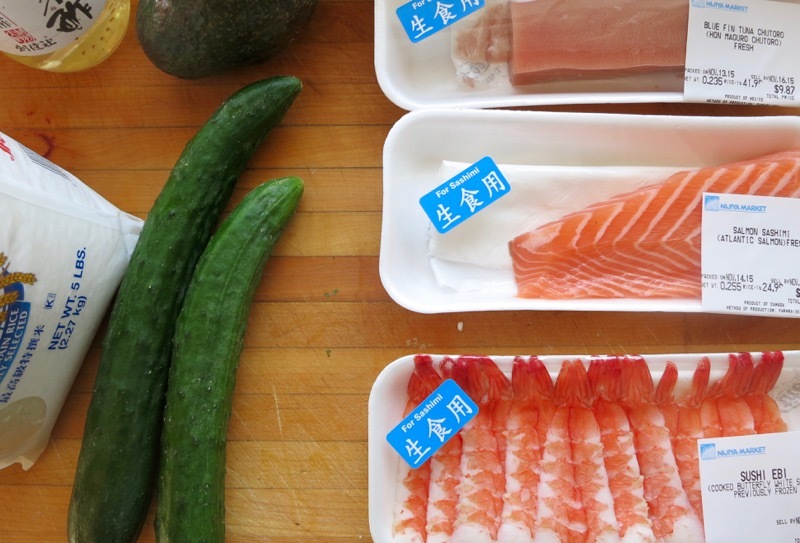 Not only is the fish the freshest (there is virtually no smell in the seafood section of the store in the back), but they sell beautiful, hard-to-find produce, like shiso leaves and the skinny Japanese cucumbers that are perfect in sushi rolls. My kids will tell you, they also offer an impressive selection of Wacky Pops, which somehow always end up in the shopping cart as well. Insider tip: If you need more than Japanese ingredients, Golden Village (Hartsdale), a mile or so south, will have literally any Asian ingredient you need. 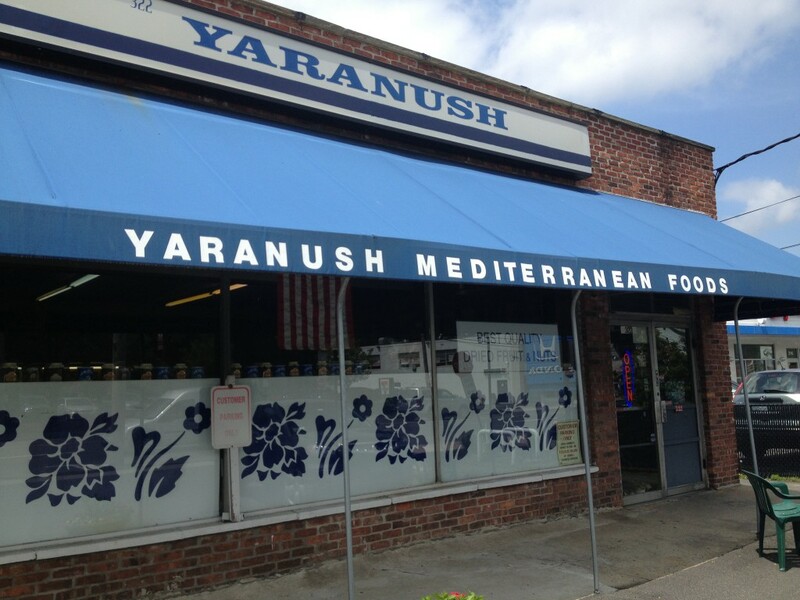 Favorite Middle Eastern Market: Yaranush (White Plains) This place reminds me of the home in The Little House, by Virginia Lee Burton. A few blocks away from a I-287 junction, sandwiched in between car dealerships and gas stations, sits this old-school little Armenian-owned gem that offers everything you want a Mediterranean market to offer: dried fruits, grains and spices in bulk, hummus, babaganouj, home-baked pita, halvah, olives, honey, baklava. My friends Andy and Diron load up on all their apps (stuffed grape leaves and an assortment of pita and dips) when they’re entertaining and I’ve always meant to follow suit. Insider tip: Don’t leave without a bag of plump dried apricots and the Greek sheep’s-milk feta. Favorite Mexican: Taco Project (Tarrytown) Anyone who follows me on instagram will not be surprised to see the Taco Project here. (Or, if you live in our house, “the Taco Proj”) This place rules. 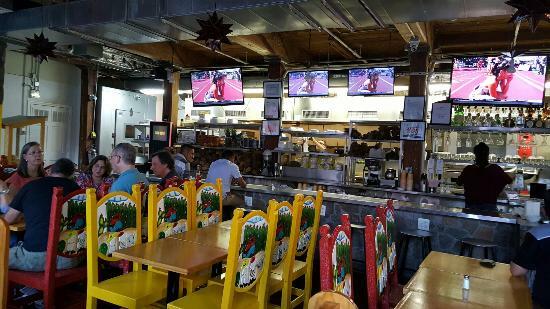 The tacos, of course are amazing: fresh, authentic, perfectly sized. But what I love is that it’s counter service with a few tables and a perimeter counter for casual eating. The room itself, with its brick-exposed wall and bright, happy teal and orange palate, is a reminder that it doesn’t take a lot to make a space feel spirited and fun. When we want to go out to dinner, but don’t want to a) drop a load of cash or b) eat pizza, this is an awesome option. It’s also an awesome option for after-school churros. Just sayin! 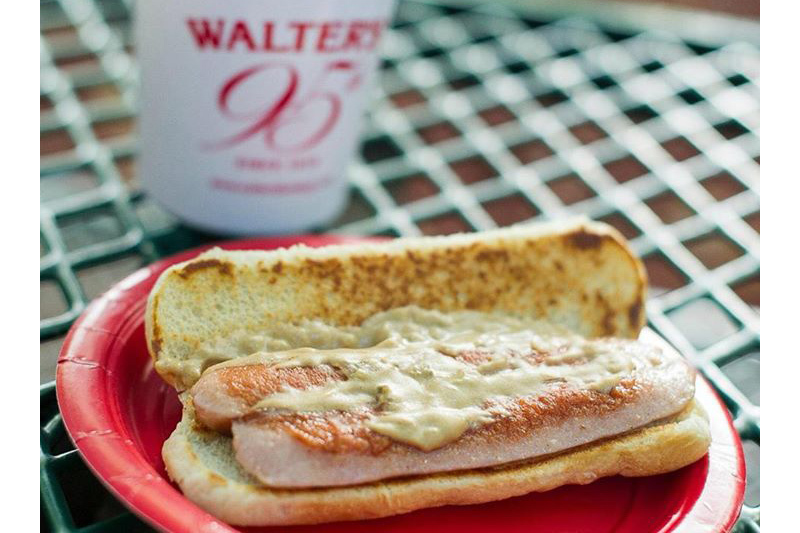 Another Walter’s photo because I’m not sure you registered this properly: They sell hot dogs from a hundred-year-old Chinese Pagoda. 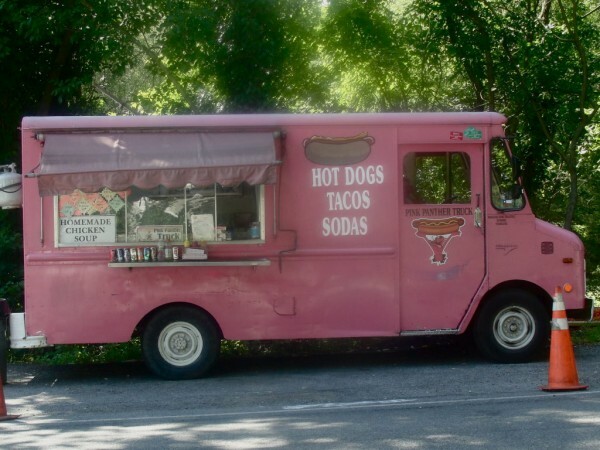 Favorite Food Truck: Pink Panther Taco Truck (Yonkers/Hastings border) Speaking of authentic tacos, THIS! Along Saw Mill River Road, always parked just south of the Farragut intersection in Hastings. Eating chicken tacos while sitting on the hood of our car in between camp and the pool: Summer in a nutshell. 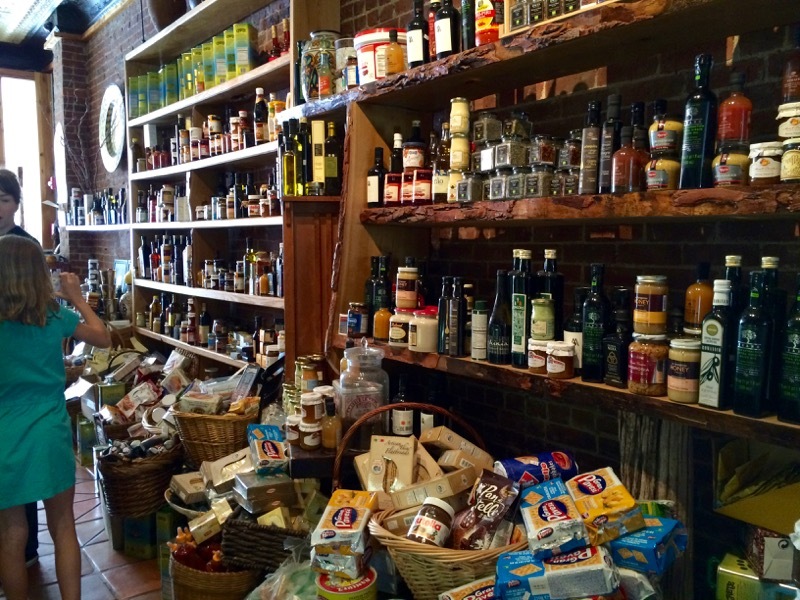 Favorite Gourmet Market: Tarry Market (Port Chester) Walking in here is like walking into a dollhouse version of Eataly — not surprising, since it’s owned by the Batali-Bastianich empire, a team that knows how to bring it in the quality department. 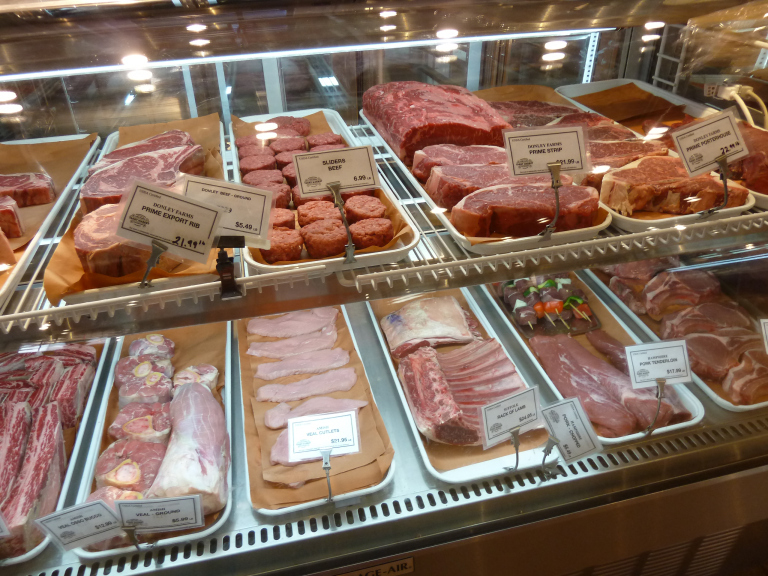 This is the place we one-stop shop for meat, produce, pasta, and cheese when we’re cooking for the boss or a special occasion. But even if we’re just in the area, without a boss to cook for, we’ll hit the espresso bar up front for Limonatas and caprese paninis. Favorite Bagels: Bagel Power (Scarsdale) A common complaint from recent New York transplants is often: I miss the food. We were those complainers. We still are. But one thing you’ll never hear us complain about are the bagels. I can’t seem to drive more than five miles without finding world class options. Two minutes from our house is Hastings Own Bagels; in New Rochelle there’s Sammy’s New York Bagels; In Bronxville there’s Park Place Bagels. But after careful consideration and much consumption, the DALS family is in agreement that you’ll find the best Westchester bagel in a strip mall in Scarsdale at Bagel Power. 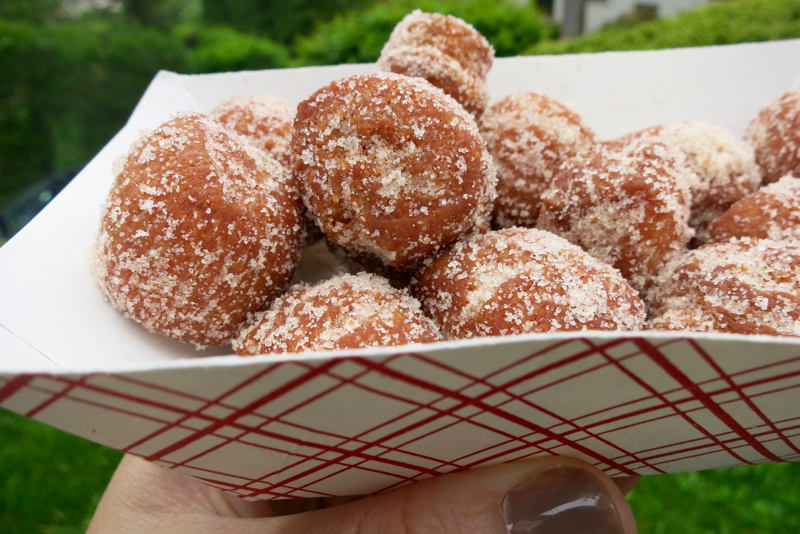 Most of the time they’re warm (key), the flavor is slightly, subtly sweet, the crispy outside and doughy inside offer the ideal contrast, and most important for the under-12 set: They Have Rainbows. Insider tip: You won’t regret picking up a bag of the bagel chips or the rainbow cookies by the register. Favorite Farmer’s Market: Hastings Farmer’s Market (Hastings-on-Hudson) When sport schedules allow, you can pretty much always find us here on Saturday morning, prowling around for our favorite local treasures like lions on the hunt. 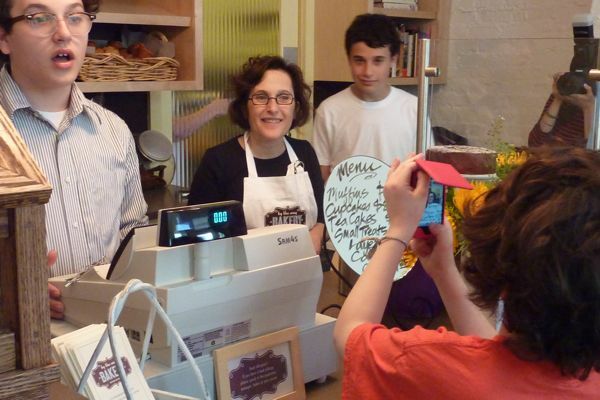 Located in the local library’s parking lot, the market has breathtaking views of the Hudson and the Palisades, and under the guidance of superwoman Pascale LaDraoulec over the past decade, has exploded. You can almost always track down whatever Fetishy Food Find is in season (think: garlic scapes, ramps, rhubarb, favas), but more important, you can’t walk an inch without running into a friend or neighbor. (Our Saturday farmer’s ritual is so sacred, there’s an entire section devoted to it in my next book.) Don’t leave without: Pomegranate chutney from Bombay Emerald, Duck breasts from Hudson Valley Duck; the eggs and cider doughnuts (that one is Abby’s pick) at Wrights Farmers; any of the produce from Taliferro or Neversink; sweet Italian sausages and grass-fed burger patties from Southtown Farms; and whatever is local at Pura Vida Fisheries. This last one is the most important. We never leave without a bag of Little Necks, soft-shell crabs, striped bass, or grey sole, which will inevitably be dinner on Sunday night. 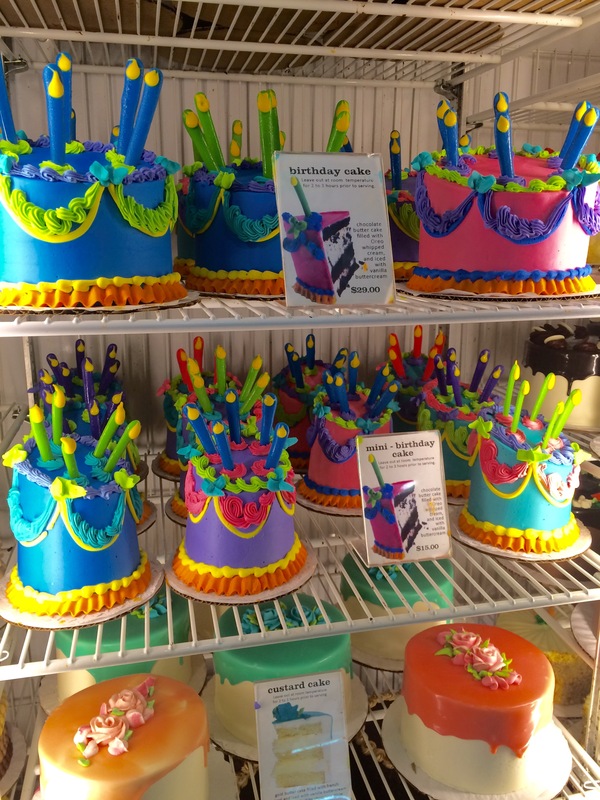 Favorite Bakery: By the Way Bakery (Hastings-on-Hudson) Though we can no longer count this as Westchester’s own, we are inspired and proud that Helene Godin’s gluten-free empire has expanded into Manhattan and beyond. (The corporate-lawyer-turned-entrepreneur has come a long way in a few short years!) We are obsessed with her almond cloud cookies and her marble tea cakes, but she seems to have gained a sizable following for big-ticket special occasion cakes, too. Also, not to be discounted: BTW serves Stumptown coffee. Favorite All Around Place in the World: Stone Barns (Pocantico Hills) I’ve said it before and I’ll say it again, I can’t believe we live 15 minutes away from Stone Barns, the Rockefeller-owned agricultural center that is home to 1) The farm camp where my kids learned how to, among other things, make zucchini pancakes, teach baby chicks how to eat, and identify champagne currants, sorel, mugwort, and jewel weed in the wild. 2) Miles and miles of woodsy running and hiking trails that wind through cow pastures and around crystal blue lakes 3) The Grain Bar, a cafeteria-style cafe in the main courtyard where, after hiking or running, you can reward yourself with homemade bologna sandwiches and pickled vegetables, cheddar-kale scones, frittatas, tomato foccacias, all made with ingredients that come right from the fields surrounding the barn. 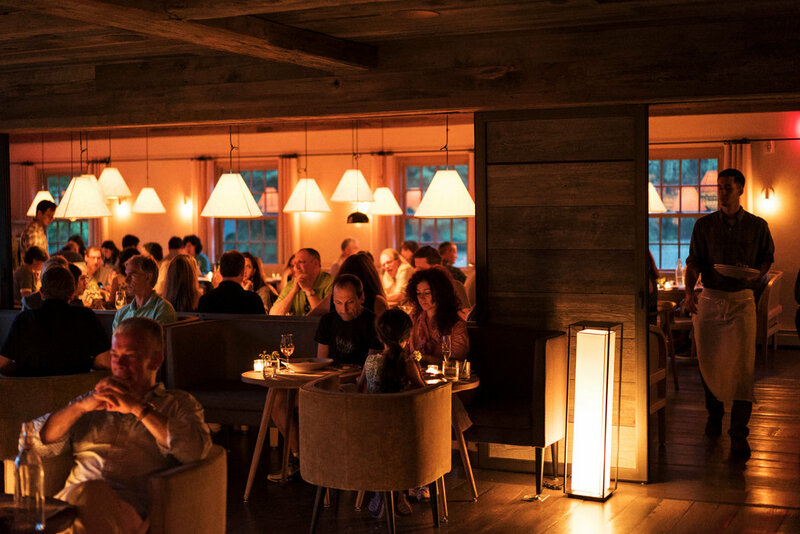 4) Blue Hill, Dan Barber’s restaurant, where we’ve celebrated milestone birthdays and anniversaries over some of the most innovative, farm-fresh dishes I will likely ever eat. (The eggplant cooked sous vide in the heat-generating compost pile comes to mind first.) Insider Itinerary: For the most perfect day trip to Westchester, head up in the late morning, hike to and around Swan Lake from the lower parking lot, finish at the cafe for lunch, then hit the gift shop/market and pick up a dozen eggs I can only describe as life-changing. Favorite Italian Specialty Store: A. Mercurio Sons (Mamaroneck) I grew up on this old-school Italian market’s offerings — my childhood freezer was stacked with boxes of cheese ravioli and little plastic pints of bolognese — but it took moving across the county for me to really appreciate it. Now, whenever I’m on that side of Westchester I LOAD up on so much more than I used to: the ravioli and bolognese of course, but also the prepared lasagna, baked ziti, chicken parm, the rigatoni they sell in the freezer at the register, their house-made mozzarella, and loaves of long Italian breads that I’ll slice and freeze (and top with that mozzarella) for the lunch box all week. 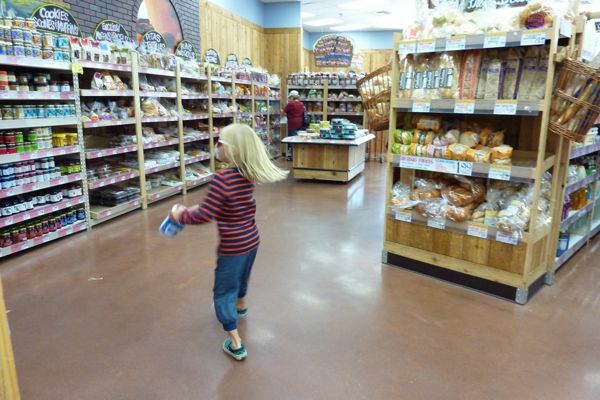 As the dudes in The Incredibles said, “No School like the Old School.” Insider tip: While you’re on Mamaroneck Ave, head down the street to Cosmos and pick up sausages or Italian heroes or just to check out the ambitious offering of Italian speciality goods like olive oil and one-of-a-kind dried pastas. Favorite Coffee: Multiple Options! (Tarrytown, Hastings) This is a tricky one. I am a writer, so naturally, coffee shops are sacred spaces for me — I’d estimate 75% of my work output over the past six years has been fueled by a caffeine-jacked cup of coffee while sitting in a cafe somewhere in Westchester. I don’t have any one favorite, but I tend to return to the same handful depending on my mood. Antoinette’s (Hastings) is presided over by the charismatic Kus, who roasts his own small-batch blends (Giacobean) in nearby Yonkers. Hanging out here will quickly disabuse you of the notion that everyone in Westchester walks around in tennis whites and Lululemon. The place is packed with screenwriters and media types and I find it’s just the right place to connect with locals and read the paper in the morning. Hastings Station Cafe is great for this, too, especially since so many locals have to walk by you to catch their train. I tend to visit Coffee Labs (Tarrytown) a lot, mostly because it’s convenient for me to sit there while my kids (who love the cute latte art, above) are at some practice or camp nearby — unlike Antoinette’s they have Wi-Fi; but my husband will drive out of his way to go here for the coffee, his top pick in the area. (They blend their own as well.) Down Main Street from Coffee Labs towards the river is relative newbie Muddy Water where I am right now actually), which is my vote for the most comfortable place to write. 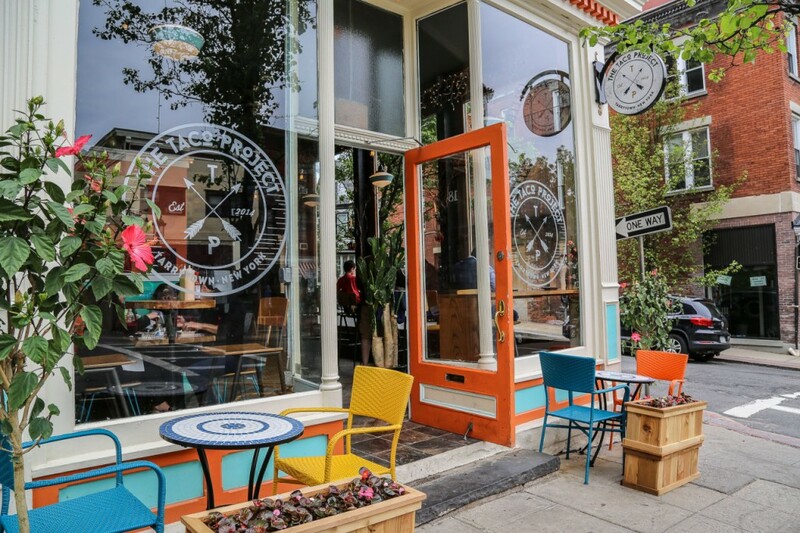 The space is sunny, the tables are long, the pastries are fresh, and the coffee is Bing Bang out of Peekskill. Favorite Sushi: Sushi Mikes (Dobbs Ferry)Whenever we talk about Sushi Mikes with our city friends, they always laugh at the name (we did too when we heard it for the first time); it almost seemed to be going out of its way to sound like suburban, watered-down Japanese food. Turns out Mike Suzuki, the chef and owner here, is the one laughing all the way to the bank. People come from all over Westchester to patronize his warm, always-bustling little corner spot with mermaid murals on the walls. His sushi boats are regular sights at Rivertown parties — kids’ and parents’ alike. Our go-to take-out order, saved on iPhone notes: Six pieces salmon sushi, spider roll, shrimp tempura app, yellowtail scallion roll, shrimp shumai, chicken teriyaki. Favorite Grocery Shopping: Trader Joe’s (Hartsdale); Mrs. Greens (Tarrytown); Whole Foods (Yonkers) Of all the questions I get the most from locals, it’s this: Where do you do your weekly shop? The answer? It depends what time of year and what kind of weekend it is — weekends being the time when we always do the major shopping. 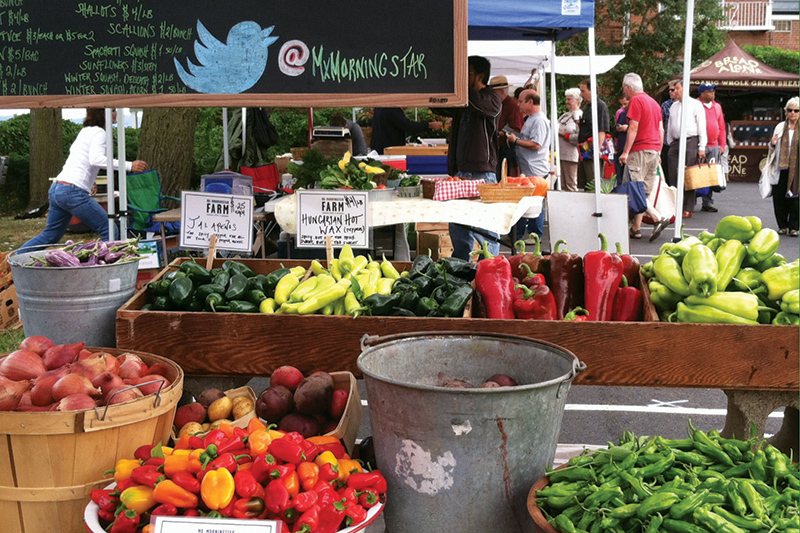 In the best case scenario, we load up on fresh produce, meat, and fish at the Hastings Farmer’s Market (see above), then supplement with a Trader Joe’s shop for the staples. (Produce, as you all know, remains a weak link at TJoes. What is up with that??) But if it’s not market season (June through November) we will try to hit Trader Joe’s plus Mrs. Greens for produce; or, when we don’t have time and we can only do a one-stop shop, we’ll just do Whole Foods for the Whole Shebang. (I try my hardest to avoid this last scenario because our grocery bill, no surprise, ends up about 20% higher.) Also of note: When I first started working from home, I went to Fairway (Harlem and Pelham) in the middle of the day, in the middle of the week…just because I could. 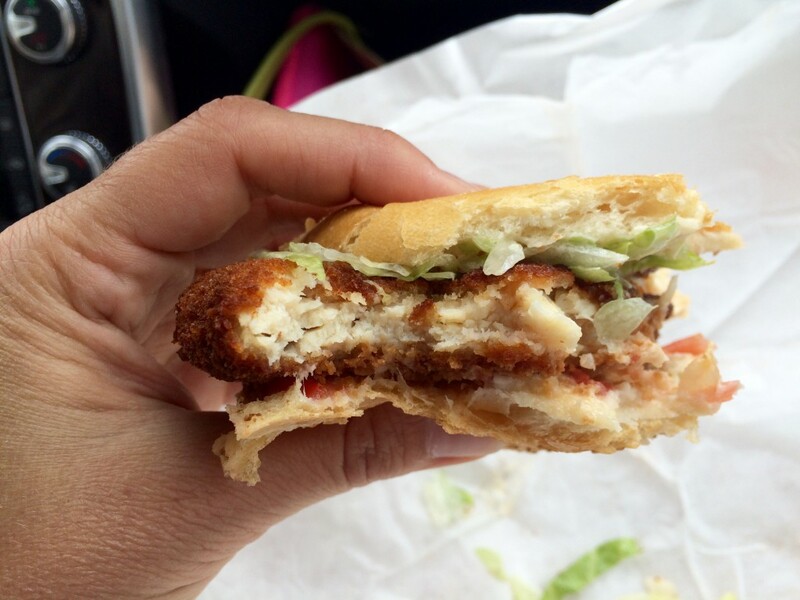 *Update: I hit Fortina (Armonk) and finally got to see (and eat) what all the fuss is about. Oh my goodness the truffle pizza, the sugar snap peas with the horseradish, the Chicken Parm! Such good vibes in that place. Highly recommend. Whew! I think it might be time for me to figure out the old slideshow thing. PS: I’m almost afraid to ask: What am I missing out on??? Please clue me in below! Photo credits Sal’s Salad Pizza: Yelp; Tarry Market Meat: EarthOceanSkyRedux; Harper’s Bar: 3Industries; Walter’s Hot Dog: Westchester Magazine; Walter’s Exterior: Walter’s Hot Dogs; Yaranush: Test Kitchen; Taco Project: Zagat; Stone Barns: Fifiandhop; Los Gemelos: TripAdvisor; Hastings Market: Westchester Magazine; Inn at Pound Ridge: The New York Times; Coffee Labs: Coffee Labs Instagram; Sushi Mikes: Yelp. I have lived in Nashville for the last 20 years (wow! How can that be?!?! ), but I will always consider NY/NJ “home.” I spent my younger years in Yonkers and my dad and his family currently live in Scarsdale. Just reading this made me feel closer to them…and hungry! I don’t get to spend nearly as much time visiting as I would like, but I’ll definitely keep this list handy for the next time I do! I lived in Westchester until I was 10 years old. 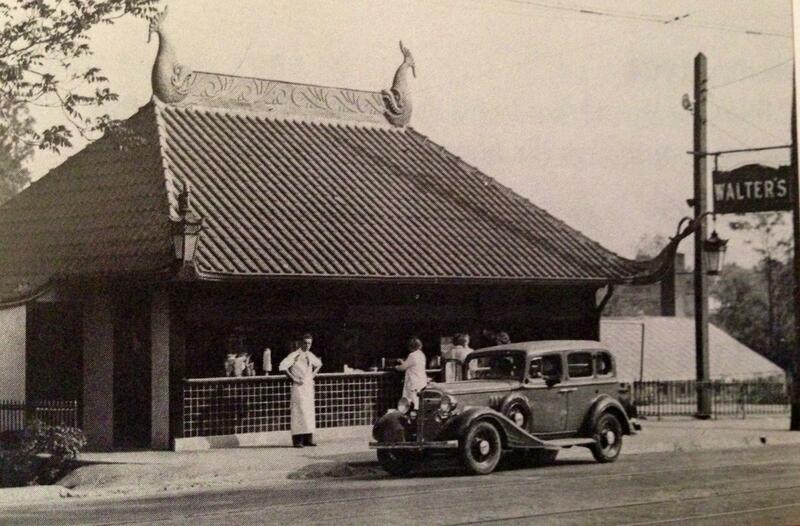 I was lucky enough to grow up in a pizza shop family, my dad owned one on Gramatan Ave in Mount Vernon. He also worked at Dunwoodies in Yonkers (?). He was a baker as well so I spent plenty of time in out out of Italian bakeries, specifically Sal & Doms in the Bronx. Your mention of Cross County mall made me small. I was so young when I lived there that I really don’t remember eating out at restaurants much, but I have plenty of great food memories. Happy to come across this post and will bookmark it for when I go back to my childhood home! What a wonderful list (because I agree with most and look forward to trying the rest). Only disagreement is with sushi place. Love this! Thank you. Would only add — best French bistro that seems too small to drop in with no reservations but actually has tons of seating upstairs – Saint George in Hastings! And we’re big fans of the bahn mi at the Bridgeview Tavern. Have been meaning to hit the Bridgeview Tavern forEVER, Sonya. thanks for the reminder! 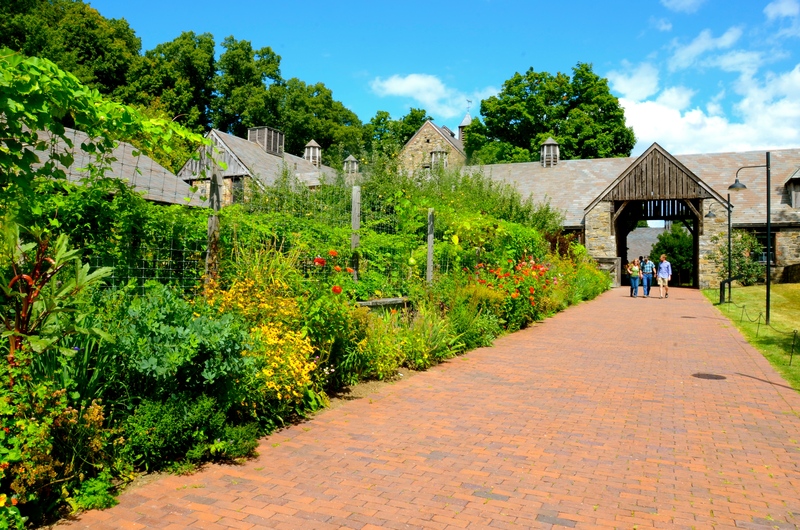 totally agree – stone barns is magic. i don’t like myself for saying this but fortina isn’t super amazing. food is decent but menu is very limited. i’ve heard the bar scene is fun but haven’t experienced it (i have a newborn and a three year old . . no time for bar scenes!) definitely try zero otto nove in armonk. AVR: I would definitely give it another shot. I finally went last night and loved it. I had no sense that the menu was limited at all — but even if you think it is, in my opinion, a limited menu is usually a good sign. I think doing a few things really well is infinitely better than offering a ton of options that are nothing special. But I really appreciate your comment, thanks so much for writing in. This is a great list, Jenny – as a fellow westchester resident it’s great to be able to try new places that are vetted by you! A fyi – the PepsiCo sculpture garden is complete. Was just there with my husband this past weekend! So good to know, Stephanie! Thank you! Oh my gosh!!! I LOVE this post. I believe you did one a while back. I love it because I used to live in Harrison. It was a short while, only two years, and that was -amazingly- fourteen years ago. It seems like a lifetime, and not. I moved there for work, then moved back to SF for work. While I love SF, as it is also where I’m originally from, I loved my time in NY. I have fond memories of driving to all the different towns in Westchester, into CT, and of course, taking the train into Manhattan and beyond. There are times when I miss that life, the places, the sights, and the food terribly. Those two short years have seared itself into my mind and psyche. Thank you. Do you get back to Western Mass much? I grew up in Amherst (until I was 5) and went back to the Valley for college (Mount Holyoke). Now I live in Scotland but I do miss that area! I’d love to see a post on it if you go back! Even though I may never get there, still enjoyed the list. Thanks! And I may just be old, but I like scrolling down instead of clicking through slide shows. Favorite buffalo wings: Candlelight Inn! Thank you for this list. We moved from Westchester three years ago, and I miss its bounty. The Midwestern suburbs can’t compete. Jenny! I know you didn’t make this just for me, but this soothes so many of my leaving-Brooklyn food anxieties. Pleased to say that we’ve already enjoyed some of these during the house-hunting process (The Parlor, Taco Project, Antoinette’s). We have also become fans of the brunch at Juniper in Hastings followed by dessert at Penny Lick ice cream across the street. Can’t wait to move up there next month and hit the others! Thank you for this amazing list! As a reader who lives just over the border of Westchester County but works in Purchase, I agree with @AVR, Fortina isn’t super amazing. The food is good, but the acoustics make the restaurant LOUD (at least in Rye Brook) so in my opinion, it’s not a place to go if you want to have any kind of meaningful conversation. If you are looking to take a ride, may I kindly suggest The Blazer Pub on Route 22 in Purdys for burgers? The menu is simple and they only take cash, but it is usually crowded because their burgers are delicious. My husband and daughter also love their tomato soup, into which they like to dip the huge French Fries that are always served piping hot. Ack I want to move here so badly! Yum yum yum. It just sounds amazing. As a Bronxville resident, have to say Park Place has some pretty amazing bagels. Looking forward to branching out to some of your other picks! I have been thinking of sending my kids to farm camp at Stone Barns, knowing it is DALS approved makes me want to send them even more! Jenny – This list is everything! There are so many of my favorite places on here that I’m always sharing with newcomers to the area, but you’ve included so many more that I have yet to try or have never heard of! Thanks for the inside tip on Nijya and Yaranush! I’m excited to try making poke or sushi bowls at home – have you written a post about those meals yet? Great list! I would recommend La Tulipe (www.latulipedesserts.com) in Mount Kisco for impeccable French pastries. Try the kouign-amann, you will not regret it. What kind of waterfront park would not allow picnics? Is that, like, a sick joke? Faithful blog lover and cookbook follower. Love this list. And confirmation of Bagel Power. It’s around the corner and our favorite. Agree Fortina in Rye Brook is WAY TOO LOUD. Tried to explain to the waiter but he couldn’t hear me 🙂 thanks for this list – more adventures and celebrations await!! This list is amazing. 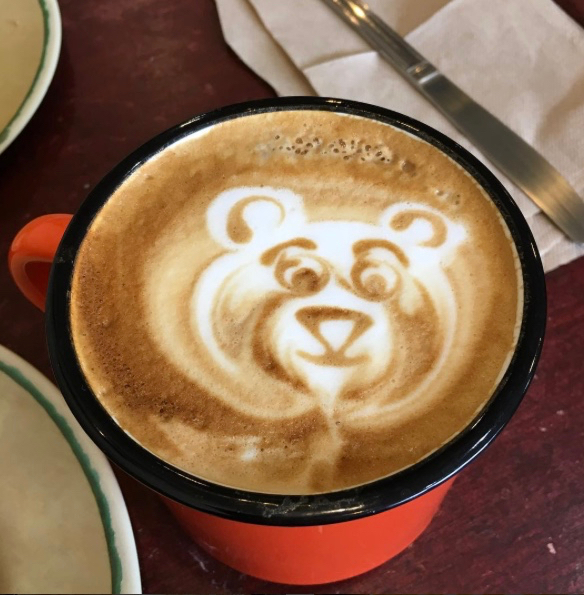 I live in Chicago, but we visit our relatives in Rye Brook frequently, so I was delighted to know many of these myself – I can’t go out there without going to Coffee Labs at least once! I forwarded the list to my relatives who are SO excited to try some new place. Thank you!!! I love this list! As a similarly almost-lifelong Westchesterite and former editor at Westchester Magazine, I’ve been involved in the compilation of lots of local lists and this one has so many great options! My toddler is a regular at Sal’s (and he loves the “eye pops” at Paleteria Fernandez down the street) and I just went to Muddy Water for the first time last week. Up next I’ve got to finally get over to try the Taco Project and the Parlor! This is one of the best “where to eat” lists I’ve ever seen. 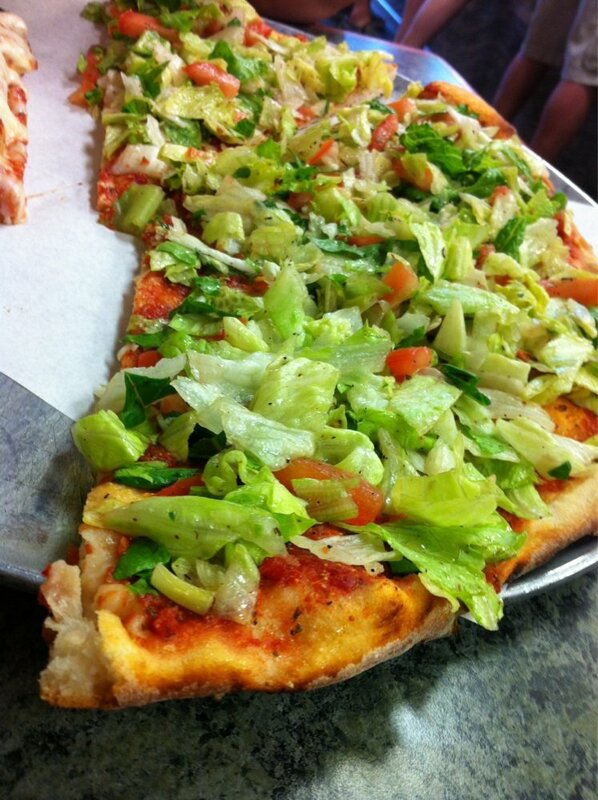 I’m a huge fan of local foods and of course pizza. You’ve listed such a great variety of places. 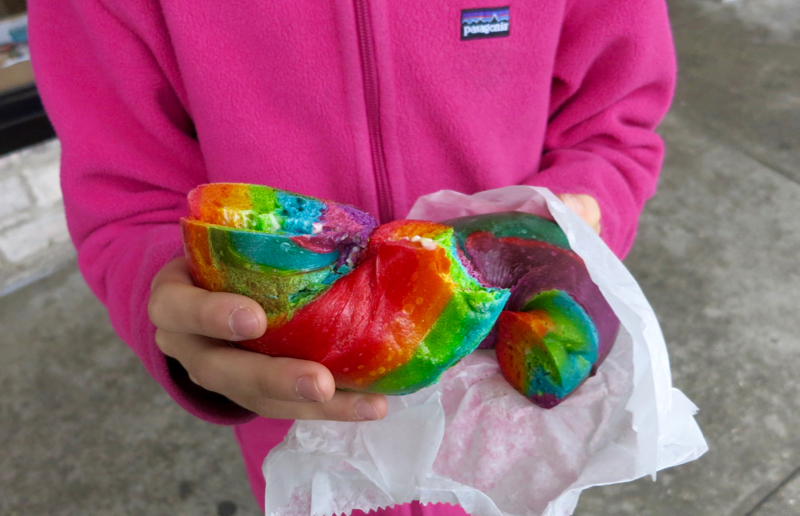 Nice to know the rainbow bagels are available. Remember the shop in NYC who used to sell them? Every place on your list looks scrumptious. Perhaps, I should make it a goal to visit all the places listed. LOL! It would be well worth the challenge. Again awesome post for us foodies! Thanks for the tip on Nijya market. I’ll have to check it out. Usually, I stop at H-Mart for asian specialties and fresh fish. I noticed they had a section for sushi/sashimi quality fish. 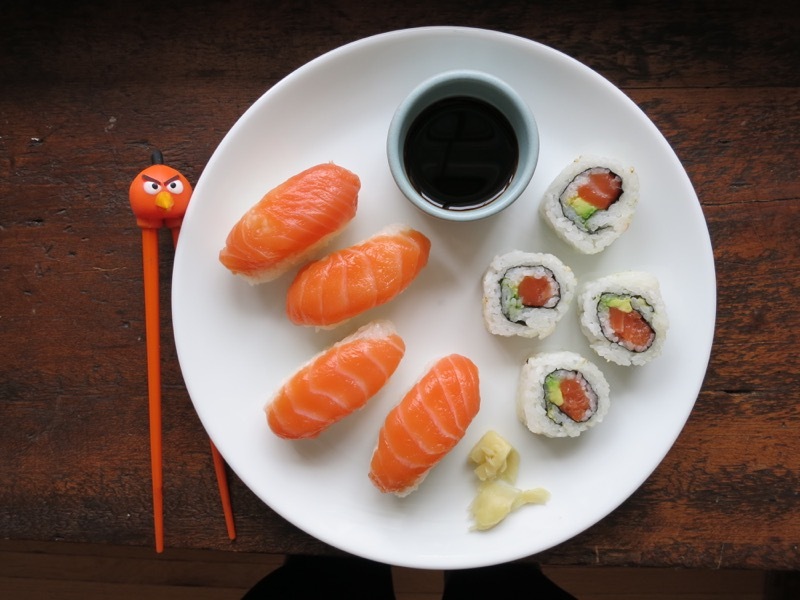 I have’t yet made sushi (rolls) myself because it seems like too much work to make for the whole family, but I think I will try a sushi bowl soon! How does Nijya compare to H-Mart on Central Ave? Hi there! Just wanted to say thank you for this list (which I just found, one year plus later). As semi-new Westchester residents (New Rochelle, moved from Brooklyn), we’ve had fewer hits than misses trying to find great places to eat up here, though we have found a few gems. So excited to try all of these spots!! 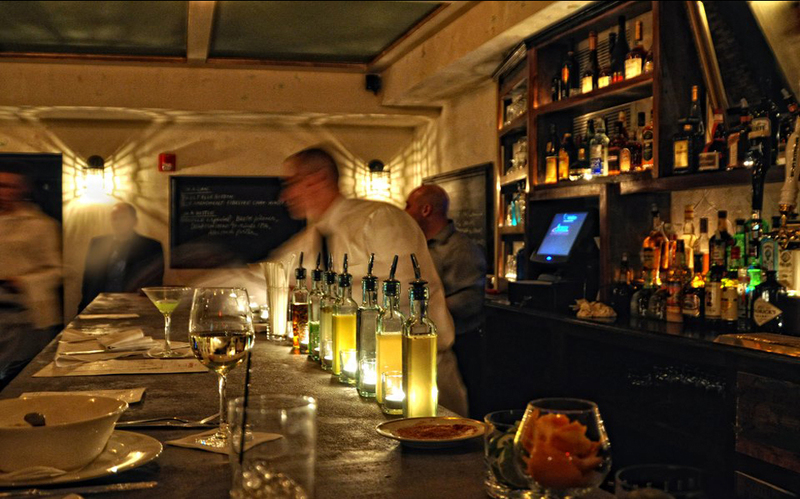 Planing on making a weekend trip up from DC to check out some of these excellent recommendations! You might not staycation, but just curious if you have a favorite place to stay to add to this list!